My wife's grandfather passed down his 63' Sea King to me. It had been sitting in his garage for over 10 years collecting dust. After a little bit of TLC I had her fired up in just a couple of hours. I'm now reconnecting the throttle and shift linkage to do a float test this weekend. No issue connecting the throttle linkage but when I went to connect the shift linkage it looks as though there may be a part or two missing. 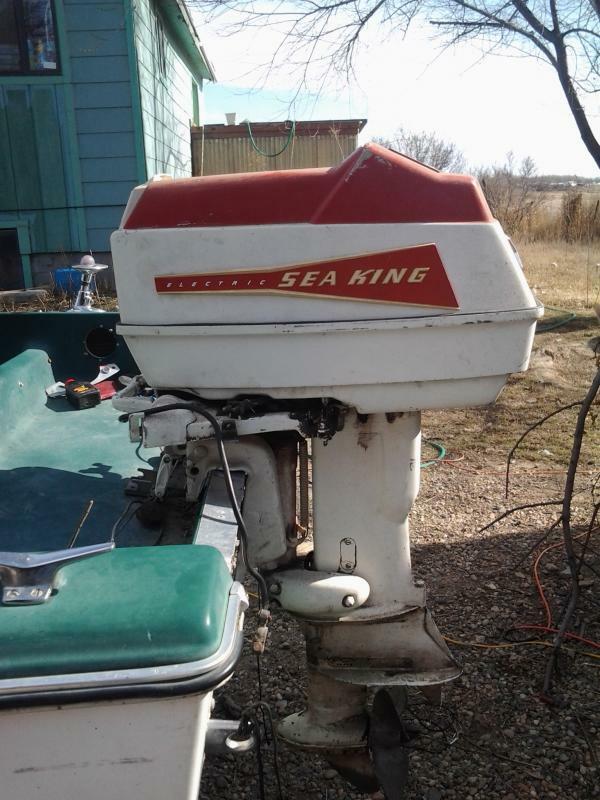 Could anyone provide a photo of the proper way to connect the shift cable to the shift lever on this outboard? Thanks Ed for responding back to my post. 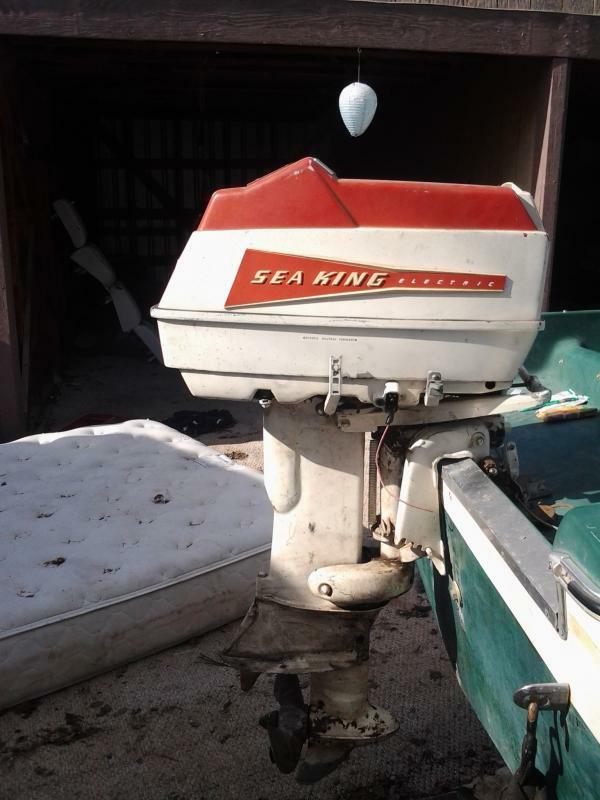 Attached are two photo's of the outboard. Appreciate your help. It'll help if you rotate the picture. My neck hurts and only one picture posted. Edit to add the other. It's a 1963 40hp. I attached a couple of pics I found of a '61 40hp and I bet it's very similar. Other diagrams are available if you drill back to the model number. For reasons beyond my understanding the pic keeps posting upside down until you click on it to expand it. Then it flips right side up. I'll post again though. OK, I take it you have a shift cable with a hole in the end and nothing else, ?Yes? The way that OMC attaches a shift cable is to have a pin with a knurled knob on the end; that pin goes thru the hole in the end of the shift cable. Then goes a stainless steel spring. To hold the spring in place, at the other end of the pin is a hole drilled for a stainless roll pin. To attach the cable to the shift lever, you line up the roll pin with the slots in the lever, push & insert, then twist to retain in place. I found a very poor pic of one in an eBay auction, see below. A bit on the $$pendy side, maybe someone here has a spare pin assy they could drop in an envelope & send. 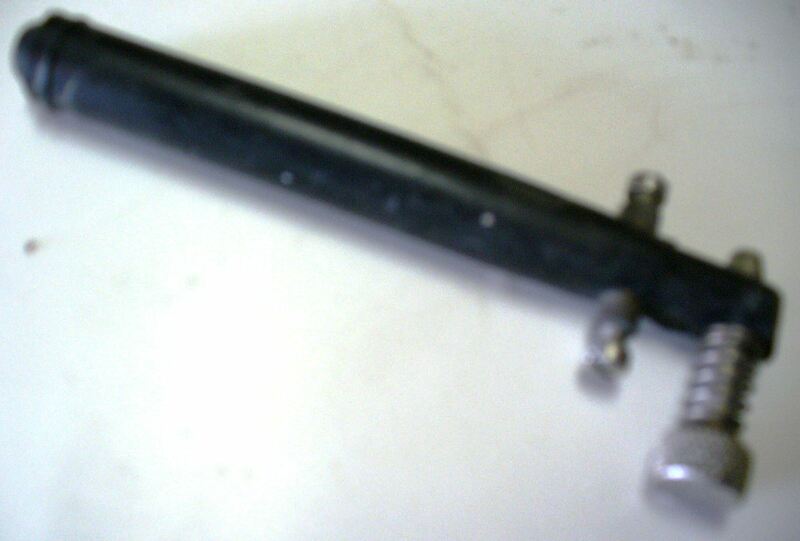 In a pinch, to get out on the water you could use a 1/4-20 bolt with some flat washers, and a self-locking nut to attach the bare cable end to the shifter arm. Tighten up the nut to remove as much slop as possible without binding when you operate the shift control. Thanks Ed for the input and for providing the link to ebay. Original plan was flat washers, nut, and bolt. Think I'm going to go that route. Appreciate the help. It'll work fine. You aren't the first (and won't be the last) to do this! Give the hardware a nice coating of boat bearing grease to reduce wear on the moving parts.